Businesses love to say “the customer comes first,” “the customer is in charge” and that they need to “let the customer lead.” But for those things to happen, the customer needs to actually have the ability to do all three: to come first, to be in charge, and to lead. And do do all three the same ways with all the companies they deal with. In other words, the customer needs scale. Scale is leverage. In today’s networked marketplace, the customer doesn’t have it. She has to deal with every company in ways those companies provide, which are all different. That’s why she’ll never get scale from the companies she deals with, no matter how well-intended they might be. They can greet her by name, give her a hug and lavish discounts and benefits on her, use AI and Big Data and analytics out the wazoo, and it won’t make a damn bit of difference, because 1) they are only one company, among zillions, and 2) she’s not in charge. In legal terms, she’s always the second party, not the first. What she needs is native power of her own. Without it, she’s up against CRM and other B2B systems sold to the companies she deals with, all of which are designed to “target,” “acquire,” “manage,” “control” and “lock in” customers — all terms better suited to ranching and slavery than to anything that aspires to genuine relationship. Even the notion of “delivering” an “experience” is an affront to her independence. To really come first, to really be in charge, to really lead, the customer needs powers of her own that extend across all the companies she deals with. That’s scale. Just as companies need to scale their relationships across many customers, customers need to scale their relationships across many companies. The customer can only get scale through tools for both independence and engagement. She already has those with her car, her purse, her phone, her personal computer, her email, her browsers, her computer, her cash. (See The Cash Model of Customer Experience.) Every company she deals with respects the independence she gets from those tools, and every company has the same base-level ways of interacting with them. Those tools are also substitutable. The customer can swap them for others like it and maintain her autonomy, independence and ability to engage. For the last eight years many dozens of developers around ProjectVRM have been working on tools and services that give customers scale. You’ll find a partial list of them here, a report on their progress here — and soon a maturity framework will appear here. number) for every company she deals with, in one move. Ways to engage with existing CRM, call center and other relationship systems on the vendors’ side. I believe we have most or all of the technologies, standards, protocols, specifications and APIs we need already. What we need now is thinking and development that goes meta: one level up, to where the customer actually lives, trying to manage all these different relationships with all these different cards, apps, websites, logins, passwords and the rest of it. The master app would not subsume all those things, but make it easier to drive them. The master app should also be as substitutable as a car, a wallet, a purse, a phone, an email client. In other words, we should have a choice of master apps, and not be stuck again inside the exclusive offering of a single company. Only with scale can free customers prove more valuable than captive ones. And only with mastery will customers get scale. We can’t get there with a zillion different little apps, most of which are not ours. We need a master app of our own. When the history of this period comes to be written, our great-grandchildren will marvel at the fact that billions of apparently sane individuals passively accepted this grotesquely asymmetrical deal. (They may also wonder why our governments have shown so little interest in the matter.) And future historians, diligently hunting through digital archives, will discover that there were only a few voices crying in the wilderness at the time. Of these prophets, the most prominent are Jaron Lanier, a computer scientist who was one of the pioneers of virtual reality, and Doc Searls, one of the elder statesman of the old internet who is now at the Berkman Centre at Harvard. In his book Who Owns the Future?, Lanier argued that by convincing users to give away valuable information about themselves in exchange for “free” services, firms such as Google and Facebook have accumulated colossal amounts of data (and corresponding amounts of wealth) at virtually no cost. His proposed solution is to make online transactions bidirectional, to ensure that the economic value of personal data can be realised by individuals, who at the moment just give it away. Doc Searls has much the same argument in his book The Intention Economy: When Customers Take Charge but proposes a different kind of software solution – “vendor relationship management”. The basic idea is that “many market problems (including the widespread belief that customer lock-in is a ‘best practice’) can only be solved from the customer side: by making the customer a fully empowered actor in the market place, rather than one whose power in many cases is dependent on exclusive relationships with vendors, by coerced agreement provided entirely by those vendors”. In that sense, just as most big companies now use “customer relationship management” systems to manage their interactions with users, Searls thinks that customers need systems that can manage their interactions with companies, but on customers’ terms. The underlying philosophy underpinning all attempts to level the online playing field is a belief that an individual’s data belongs to him or herself and that no one should have access to it except on terms that are controlled by the data owner. The hunt is on, therefore, for technologies (software and/or hardware) that would make this both possible and be easy to use. 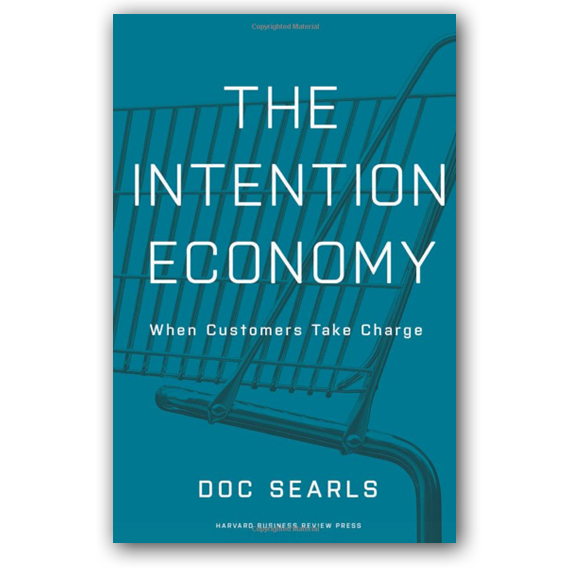 We’re currently reading The Intention Economy: When Customers Take Charge by Doc Searls, an American journalist working from Harvard University who writes about the future of business. Advertising is broken, he says. He argues against the trend in online advertising for reducing customers to data points and delivering us personal advertising. “Perfectly personal advertising is a dream of advertisers, not of customers,” he writes. Personal advertising puts us in the uncanny valley, he says. In the uncanny valley, robots start freaking us out because they appear too human. His alternative is the intention economy. In the intention economy, we – the customers – tell the market of our intention to buy something then companies compete to sell it to us. “The intention economy is about buyers finders sellers, not sellers finding (or ‘capturing’) buyers,” he writes. He invites advertisers to give up what he calls their cat and mouse game and start building more meaningful relationships with customers through our personal data stores instead. “Nothing big data offers today, in any business, is a substitute for intentionally delivered intelligence from real customers who are engaged, one to one, with retailers in a marketplace, in their own ways, on their own terms,” he writes. Searls works from Harvard University’s Berkman Centre for Internet and Society, where he runs Project VRM – VRM stands for Vendor Relationship Management. “VRM tools work as the demand-side counterpart of vendors’ CRM (customer relationship management) systems,” he explains. Project VRM, he hopes, will liberate customers through tools that help us make requests for proposals to companies that are selling something we want to buy. This kind of engagement, he writes, “is the only evolutionary path out of the pure guess-work game that advertising has been for the duration”. And he asks for answers. Feel free to volunteer some. Bonus Links: Dave Winer on How VRM works, and Consumers vs. Data Science Bad Guys, by Levi King @kinglevi) in Techcrunch. My last post asked, How do you maximize the help that companies and customers give each other? My short answer is in the headline above. Let me explain. Now let’s say I didn’t have the directions handy. How would I find them? Obviously, on the Web, right? I mean, you’d think. I then hit “I want to stop.” That looped me back to the search panel, three screenshots up from here. In other words, a complete fail. 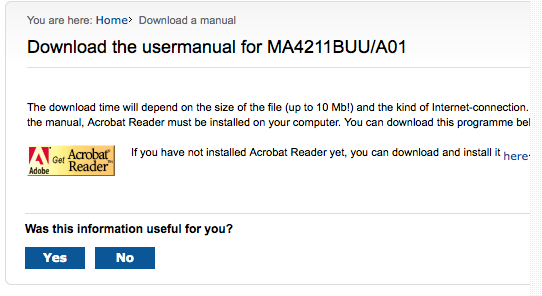 Since the copyright notice is dated 2007 — eight years ago — I assume this fail is a fossil. The company bears the full burden of customer service. Every company serves customers differently. There is no single standard or normalized way for companies and customers to inform each other online. What’s missing is a way to give customers scale — for the good of both themselves and the companies they deal with. Customers have scale with cash, credit cards, telephony, email and many other tools and systems. But not yet with a mechanism for connecting to any company and exchanging useful information in a standard way. We’ve been moving in that direction in the VRM development community, by working on personal data services, stores, lockers, vaults and clouds. Those are all important and essential efforts, but they have not yet converged around common standards, protocols and customer experiences. Hence, scale awaits. What this house models, with its easily-accessed envelopes for every appliance, is a kind of scale: a simple and standardized way of dealing with many different suppliers — a way that is the customer’s own. 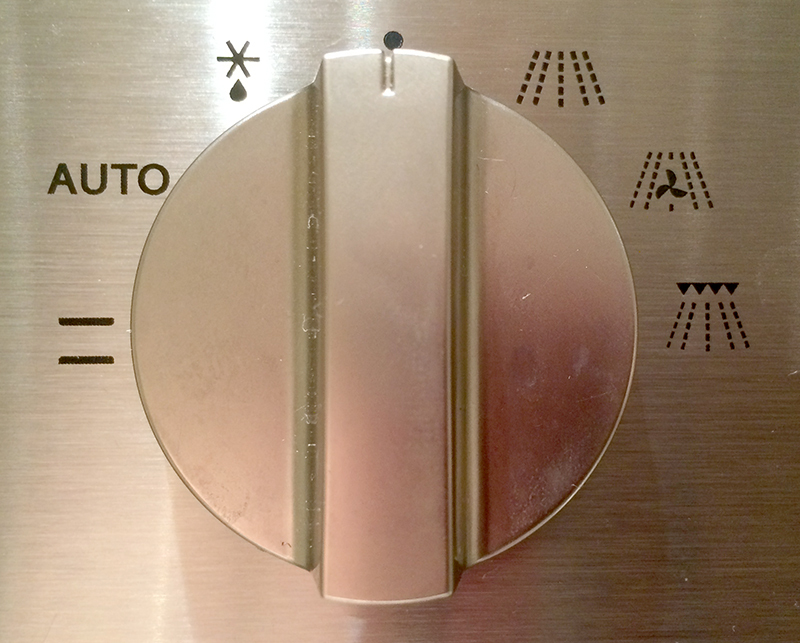 Now let’s imagine a simple digital container for each appliance’s information: its own cloud. 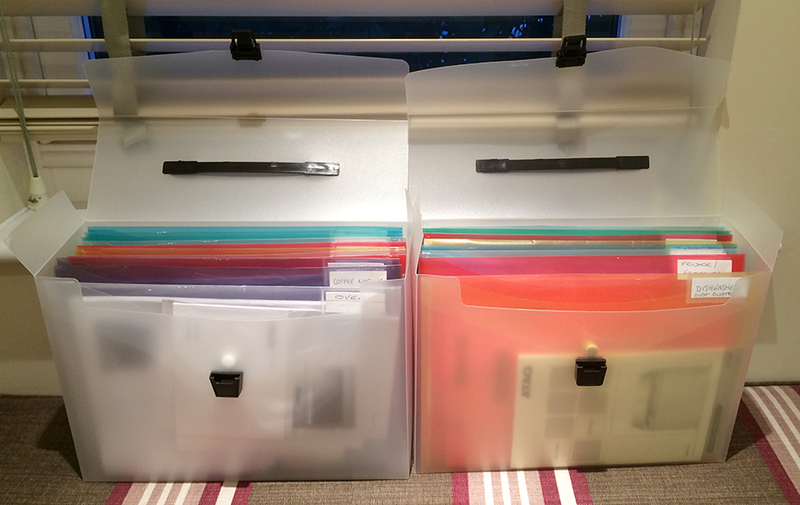 In form and use, it would be as simple and standard as a file folder. It would arrive along with the product, belong to the customer*, and live in the customer’s own personal data service, store, locker, vault, cloud or old-fashioned hard drive. 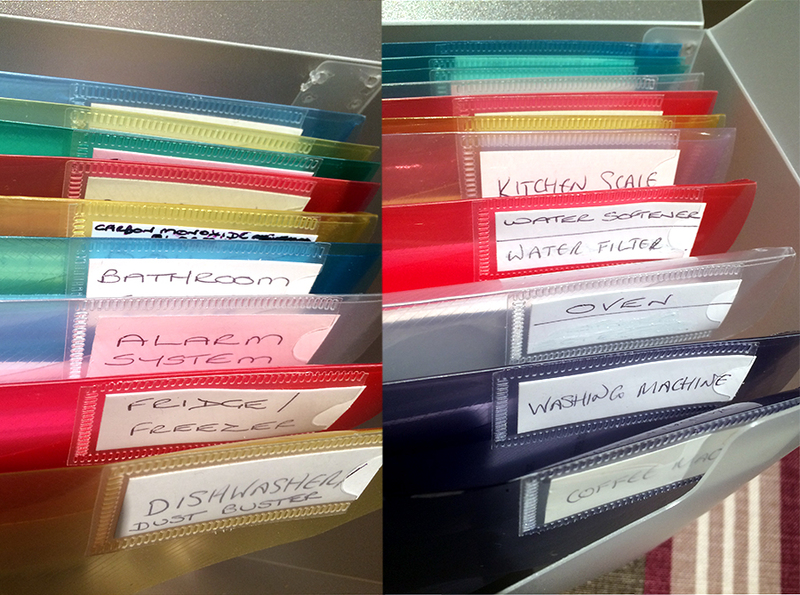 Or, customers could create them for themselves, just like the owner of the house created those file folders for every appliance. Put on the Net, each appliance would join the Internet of Things, without requiring any native intelligence on the things themselves. There, on the Net, companies could send product updates and notifications directly into the clouds of each customer’s things. And customers could file suggestions for product improvements, along with occasional service requests. This would make every product’s cloud a relationship platform: a conduit though which the long-held dreams of constant product improvement and maximized customer service can come true. Neither of those dreams can come true as long as every product maker bears the full responsibility for intelligence gathering and customer support — and does those differently than every other company. The only way they can come true is if the customers and their things have one set of standard ways to stay in touch and help each other. That’s what clouds for things will do. I see no other way. So let’s get down to it, starting with a meme/hashtag representing Clouds For Things : #CFT. Next, #VRM developers old and new need to gather around standard code, practices and protocols that can make #CFT take off. Right now the big boys are sucking at that, building feudal fiefdoms that give us the AOL/Compuserve/Prodigy of things, rather than the Internet of Things. For the whole story on this mess, read Bruce Sterling‘s e-book/essay The Epic Struggle for the Internet of Things, or the chunks of it at BoingBoing and in this piece I wrote here for Linux Journal. We have a perfect venue for doing the Good Work required for both IoT and CFT — with IIW, which is coming up early this spring: 7-9 April. It’s an inexpensive unconference in the heart of Silicon Valley, with no speakers or panels. It’s all breakouts, where participants choose the topics and work gets done. Register here. We also have a lot of thinking and working already underway. The best documented work, I believe, is by Phil Windley (who calls CFTs picos, for persistent compute objects). His operating system for picos is CloudOS. His holdings-forth on personal clouds are here. It’s all a good basis, but it doesn’t need to be the only one. What matters is that #CFT is a $trillion market opportunity. Let’s grab it. * I just added this, because I can see from Johannes Ernst’s post here that I didn’t make it clear enough. How do you maximize the help that companies and customers give each other? January 17, 2015 / Doc Searls / Comments Off on How do you maximize the help that companies and customers give each other? I’m not talking just about what companies and customers learn from each other through the sales, service and surveys — the Three S’s. Nor am I talking only about improving the “customer experience,” (a topic that has been buzzing upward over the last few years). I’m talking about how companies and customers help each other out. I mean really help. Constantly. Ting’s offerings are simple. They have rates, not plans. You only pay for what you use. That’s it. And usage is low in cost. Sprint, Verizon and AT&T, on the other hand, all comprise a confusopoly. They offer complex, confusing and changing plans, on purpose. In confusopolies, the cognitive overhead for both companies and customers is high. So are marketing, operational and administrative overheads. 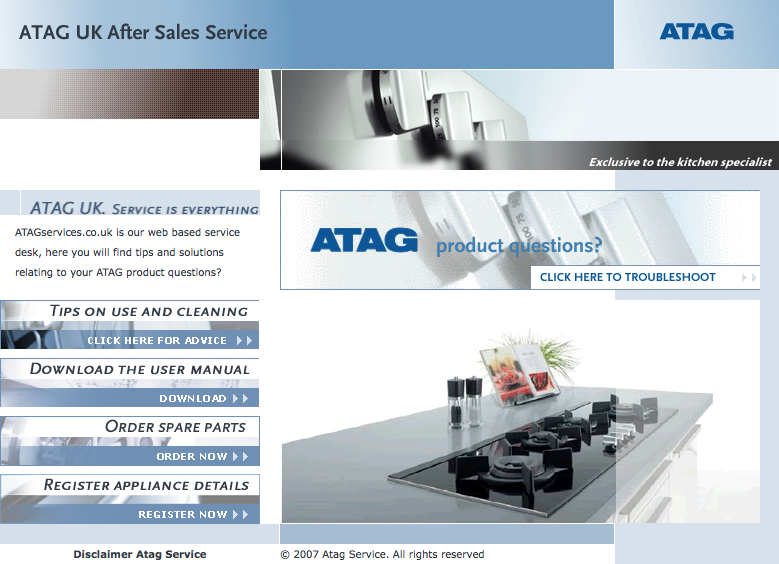 That’s why they are all more expensive than Ting, and unloved as well — even as, no doubt, they have CRM systems that pay close attention to the customer service performance of their website and call center. Ting actually talks to customers. They are fanatical about person-to-person service, which means both sides learn from each other. Directly. Ting’s products and services are constantly improved by intelligence coming directly from customers. And customers can sense it. Directly. Now, what about the times when you and the company are not talking to each other? For example, when you just want something to work, or to work better?. Or when you think of a way a product or a service can be improved somehow, but don’t want to go through the hassle of trying to get in touch with the company? I answer that in the next post. What would a VRM social network be? All of us had social networks before Facebook, Diaspora and Ello existed. We still do. They’re in our heads, hearts, contact lists and address books. Facebook, Diaspora* and Ello are silo’d commercial services. They do serve many social purposes, of course, and a few very well, or they wouldn’t be so popular. If we want real social networks online, we need to start with our own genuine personal ones. To be VRM, they need to support independence and engagement. They should also be substitutable in the same way that, say, browsers and email apps and services are substitutable. It is essential to start outside the box of thinking that says everything needs to be a service. Inside that box we risk thinking only of other calf-cow solutions to calf-cow problems. Facebook and Ello are both cows. Even though one doesn’t advertise at us, we’re still calves in its fenced farm. Unless, of course, we can take our social graphs away with us, to use on our own, or with some substitutable service. I suggest we start with address books and calendars. Those could not be more personal, yet more social. And, far as I know, nobody has yet done them in a way that’s useful for scaffolding the successor to Facebook on top of them. But that shouldn’t stop us. * [Later…] This was a copy/paste/rush error. In fact Diaspora is quite VRooMy. The Wikipedia entry makes that clear. 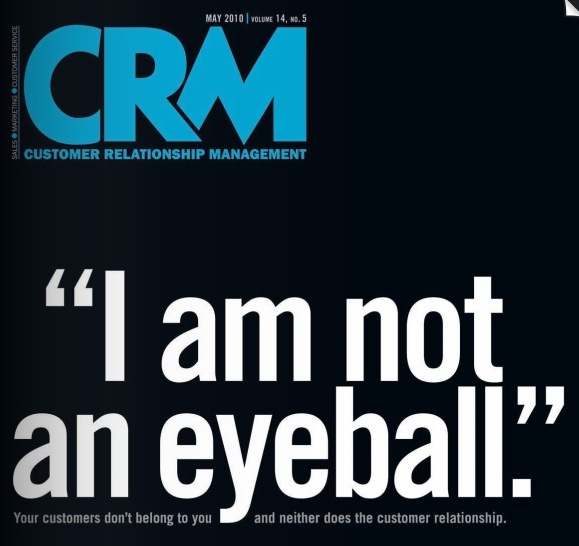 Four years and a few months ago, CRM Magazine devoted much of its May issue to VRM. That’s the cover there on the right. It was way ahead of its time. Same goes for ProjectVRM, which started four years earlier. Now things are starting to shift. A customer should to be able to change his or her address (plus other form fields) for every company they deal with in one move, rather than one at a time within each company’s separate CRM system. A customer should be able to intentcast as a qualified lead, safely and (at least at first) anonymously, outside of any one company’s captive marketplace. An individual’s sovereign identity matters more to them — and to the marketplace — than any administrative identities conferred by companies or governments. The negative externalities of unwelcome surveillance tend to outweigh whatever positive internalities the practice provides. Co-creating the customer experience is better than having one side in charge of the whole thing — especially when the customer has few ways to bring consistency to her experience with many different companies. Customers should have clouds of their own (aka personal clouds, stores, vaults, PIMS), and not just those of silo’d services. Customers need ways to express their own policies, preferences, terms and conditions, and not be forced all the time to accept those provided by sellers — and that mutually agreeable terms will be far better than the one-sided (and in many cases unenforceable) ones nobody reads because there’s no point to it. 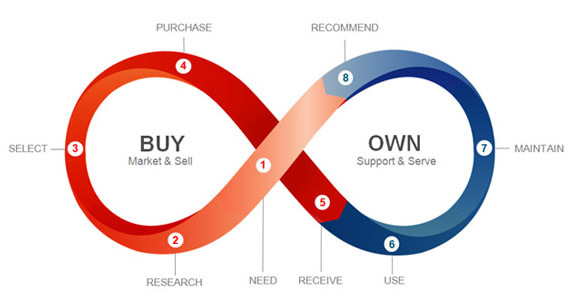 There is far more leverage on customer retention in the “own cycle” than in the “buy cycle” of the customer experience. There are now many dozens of developers in or near the VRM space that can be helpful for CRM as well. Given all the action that’s going on, it would be way cool if we can get players on both sides together in one room to talk and whiteboard our way onto common ground and build new and better stuff there. So we’re in luck, because that’s what we have with VRM Day and IIW, both at the Computer History Museum in downtown Silicon Valley (101 and Shoreline Road in Mountain View), on the last week of this month. VRM Day is Monday, October 27. IIW (Internet Identity Workshop) is Tuesday to Thursday, October 28-30. The two go together. VRM Day is located and timed to lead in to IIW. The topics are ones we’ll want to be working on for the next three days — and beyond. IIW is an unconference. There are no speakers or panels. All the topics are vetted by participants, who lead discussions and push topics forward in breakout rooms. It’s designed that way so stuff gets done and not only talked about. While the original focus was (and remains) identity, the workshop is open to anything. High on the list of topics that get worked on, every time, are VRM ones like those listed above. VRM Day and IIW will provide an ideal week for anybody who wants CRM to truly engage customers to get together and help make that happen. VRM developers need to know more about how to connect with and help CRM systems and related ones, such as sCRM (social CRM), Customer Experience Management and call centers. CRM developers need to know more about how to connect with and help VRM developers. And, since everybody with a wallet is also a customer, that character will be well-represented too. It’s time to make good on the promise we’ve seen coming for way too long. As of today, ProjectVRM is eight years old. So now seems like a good time for a comprehensive (or at least long) report on what we’ve been doing all this time, how we’ve been doing it, and what we’ve been learning along the way. ProjectVRM has always been both a group effort and provisional in its outlook and methods. So look at everything below as a draft requiring improvement, and send me edits, either by email (dsearls at cyber dot law dot harvard dot edu) or by commenting below. After eight years of encouraging development of tools and services that make individuals both independent and better able to engage, ProjectVRM (VRM stands for vendor relationship management) is experiencing success in many places; most coherently in France, the UK and Oceania (Australia and New Zealand). There are now dozens of VRM developers (though many descriptors besides VRM are used), and investor interest is shifting from the “push” to the “pull” side of the marketplace. Government encouragement of VRM is strongest in the UK and Australia. ProjectVRM and its community are focused currently on “first person” technologies, privacy, trust, identity (including anonymity), relationship (including experience co-creation), substituability of services and the Internet of Things. Verticals are personal information management, relationship (VRM+CRM), identity, on-demand services, payments, messaging (e.g. secure email), health, automotive and real estate. There are many possibilities for research, possibly starting with the effects on business of individuals being in full control of their sides of agreements with companies. we are not seats or eyeballs or end users or consumers. we are human beings and our reach exceeds your grasp. deal with it. There is a theory in there that says the Internet gives human beings (the first person we) the reach they need to exceed the grasp of marketers (the second person your). So either the theory wasn’t true, or the Internet was a necessary but insufficient condition for the theory to prove out. I went with the latter and decided to to work on the missing stuff. That stuff couldn’t come from marketers, because they were on the second person side. In legal terms, they were the second party, not the first. This is why their embrace of Cluetrain’s “markets are conversations” couldn’t do the job. Demand needed help that Supply couldn’t provide. What we needed, as individuals, were first party solutions — ones that worked for us. As clients we go to servers for the milk of text, graphics, sound and videos. We get all those, plus cookies (and other tracking methods) to remember who we are and where we were the last time we showed up. And, since we’re just clients, and servers do all the heavy lifting (and with technology what can be done will be done) the commercial Web’s ranch has turned into what Bruce Schneier calls Our Internet surveillance state. By 2006 it was already clear to me that we could make the whole marketplace a lot bigger if individuals were fully capable human beings and not just calves — if we equipped Demand to drive Supply at least as well as Supply drives Demand. 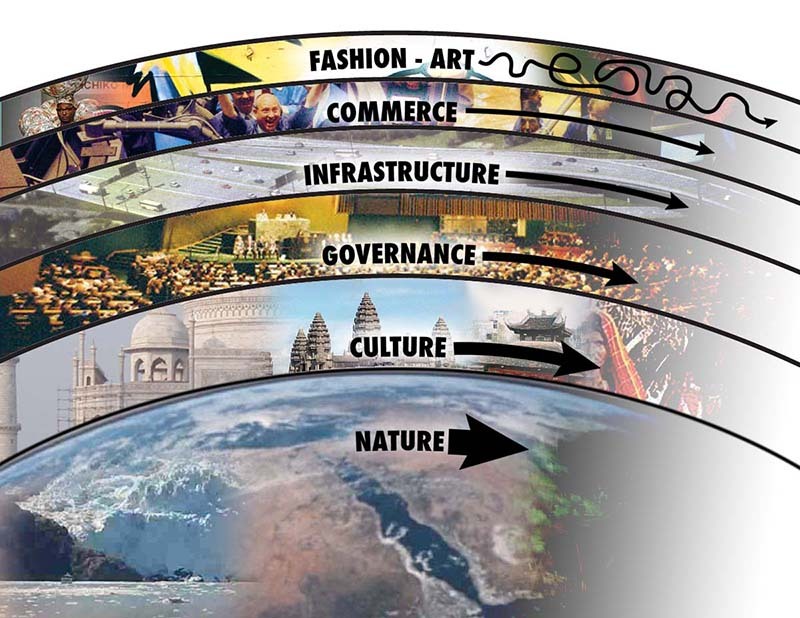 The Intention Economy is built around more than transactions. Conversations matter. So do relationships. So do reputation, authority and respect. Those virtues, however, are earned by sellers (as well as buyers) and not just “branded” by sellers on the minds of buyers like the symbols of ranchers burned on the hides of cattle. In The Intention Economy, a car rental customer should be able to say to the car rental market, “I’ll be skiing in Park City from March 20-25. I want to rent a 4-wheel drive SUV. I belong to Avis Wizard, Budget FastBreak and Hertz 1 Club. I don’t want to pay up front for gas or get any insurance. What can any of you companies do for me?” — and have the sellers compete for the buyer’s business. This car rental use case is one I’ve used to illustrate what would be made possible by “user-centric” or “independent” identity, which was also the subject of the cover story in last October’s Linux Journal, plus this piece a year earlier, and various keynotes I’ve given at Digital Identity World, going back to 2002. It is also the use case against which the new open source Higgins project was framed. Even though I’ve been thinking out loud about Independent Identity for years, I didn’t have a one-word adjective for the kind of market economy it would yield, or where it would thrive. Now, thanks to all the unclear talk at eTech about attention, intentional is that adjective, because intent is the noun that matters most in any economy that gives full respect to what only customers can do, which is buy. Like so many other things that I write about (including everything I’ve written about identity), The Intention Economy is a provisional idea. It’s an observation that might have no traction at all. Or, it might be a snowball: an core idea with enough heft to roll, and with enough adhesion to grow, so others add their own thoughts and ideas to it. 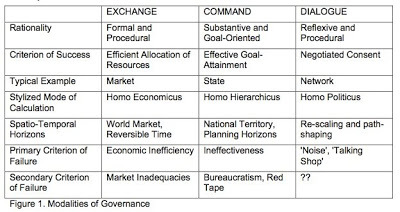 So that’s the purpose I chose for my new Berkman project: to get a snowball of development rolling toward the Intention Economy. The project has been lightweight from the start, consisting of myself* and other volunteers. Our instruments are this blog, a wiki, a mailing list and events. In gatherings of project volunteers at Berkman and elsewhere, we narrowed our focus to encouraging development of tools for independence and engagement. That is, tools that would make individuals both independent of other entities (especially companies) and better able to engage with them. These shaped the principles, goals and tools listed on our wiki. The term VRM came about accidentally. I was talking about my still-nameless project on a Gillmor Gang podcast in October 2006. Another guest on the show, Mike Vizard, started using the term VRM, for Vendor Relationship Management — or the customer-side counterpart of CRM, for Customer Relationship Management, which was then about a $6.2 billion B2B software and services industry. (It’s now past $20 billion.) The Gillmor Gang is a popular show, and the term stuck. It wasn’t perfect (we wanted a broader focus than “vendors,” which is also a B2B term, rather than C2B). But the market made a decision and we ran with it. Since then VRM has gained a broader meaning anyway. Every thing (hardware, software, policies, legal moves) that enables an individual to interact with full agency in any relationship is a VRM thing. “RM” turns out to be handy for sub-categories as well, such as GRM (government relationship management) and HRM (health relationship management). ProjectVRM has always been unusual for Berkman in two ways. One is that it has been focused on business — the commercial side of the “society” in Berkman’s name. The other is that it put the development horse ahead of the research cart. So, while we always wanted to do research (and did some along the way, such as with ListenLog), we felt it was important to create research-worthy effects first. My first mistake was thinking we would have those effects within a year. My second mistake was thinking we would have them within four years — the length of my fellowship. It has taken twice that long, and still requires one more piece. More about that below, in the Research and Opportunities sections. IIW also started with Berkman help. It was first convened as a group I pulled together for a December 31, 2004 Gillmor Gang podcast on identity. Steve Gillmor called the nine participants in the show “The Identity Gang.” The conversation continued by phone and email, with growing energy. So we convened again, this time in person with a larger group, in February 2005 at Esther Dyson’s PC Forum in Scottsdale, Arizona. It was there that John Clippinger asked if we would like “a clubhouse” at Berkman. I said yes, and John had Paul Trevithick create a Berkman site for the gang. As interest collected around the site and its list, three members — Phil Windley (then CIO of Utah), Kaliya Hamlin (aka “IdentityWoman“) and I morphed the gang meetings into IIW, which met for the first time in Fall of 2005. Our 19th is coming up on 28-30 October. (Register here.) It tends to have 180-250 participants from all over the world. While identity remains the central theme, as an unconference its topics can be whatever participants choose. VRM is always a main focus, however. And we always have a “VRM Day” at the Museum the day before IIW. The next is on 27 October. It’s free. Digital ID World, a yearly conference started in 2002 by Andre Durand and Phil Becker, and organized by Eric Norlin. I gave the closing keynotes for most of them. Identity Commons, which started in 2001. Kaliya Hamlin, Owen Davis and Drummond Reed were all active in it. Kaliya, aka IdentityWoman, introduced me to it in the summer of 2004. The Open Identity Exchange (OIX). The Information Card Foundation, which grew out of Microsoft’s work on Identity, building especially on Kim Cameron’s thinking and architecture. As you see, all of those should apply just as well to VRM tools and services. We have had two interns in our history, both hugely helpful. The first was Doug Kochelek, an HLS law student with a BS and a EE from Rice. He came on board at the very beginning, in September 2006. He’s the guy who worked with Berkman’s Geek Cave to create the wiki, the blog and the list. He also shook down many technical problems along the way. The second was Alan Gregory, a 2009 summer intern and a law student at the University of Florida. Alan helped with research on the chilling effects of copyright expansion on Web streaming, which was a focus of a research project we did with PRX called ListenLog — a self-tracking feature installed in PRX’s Public Media Player iPhone app. (Here’s a presentation Alan and I did at a Fellows Hour.) ListenLog was the brainchild of Keith Hopper, then of NPR, and was years ahead of its time. Work on those projects was funded by a grant from the Surdna Foundation. To keep its weight light and its work focused on development and relevant issues, ProjectVRM does not have its own presence on Twitter or Facebook. Its social media activity is instead comprised of postings by individual participants in the project, and the memes they drive. #VRM, for example, gets tweeted plenty, and has come to serve as shorthand for individual empowerment. In 2007 we did a good job of publicizing what VRM and ProjectVRM were about, and got a lot of buzz. It was premature, and our first big lesson: it’s not good to publicize anything for which the code isn’t ready. In the absence of code, it’s easy for commentators (such as here) to assume that what we’re trying to do can’t be done. So we got more heads-down after that, and avoided publicity for its own sake. Still, the idea of VRM is attractive, especially to folks at the leading edge of CRM. This is what caused nearly an entire issue of CRM magazine to be devoted to VRM ,in May 2010. It too was ahead of its time, but it helped. So did two books that came out the same year: John Hagel’s The Power of Pull, and David Siegel’s Pull: The Power of the Semantic Web to Transform Your Business. John also helped in June 2012 with The Rise of Vendor Relationship Management. That essay was a review of The Intention Economy: When Customers Take Charge, which arrived in May from Harvard Business Review Press. The book reported on VRM development progress and detailed the projected shifts in market power that I first called for in my 2006 column with the same title. So far ProjectVRM has one spin-off: Customer Commons, a California-based nonprofit. Its mission is “restore the balance of power, respect and trust between individuals and organizations that serve them.” CuCo is a membership organization with the immodest ambition of attracting “the 100%.” In other words, all customers. 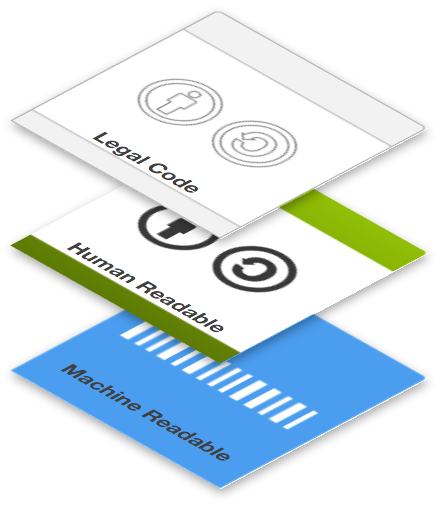 And it is modeled to some degree on Creative Commons (a successful early Berkman spin-off), by serving as the neutral place where machine- and person-readable versions of personal terms, conditions, policies and preferences of the individual can be maintained. Among those terms will be those restricting or preventing unwanted tracking, and among those policies will be those establishing the boundaries we call privacy. Customer Commons is a client of the Cyberlaw Clinic, which is helping develop both. But much more can be done. We’ll visit that in the Opportunities section below. Some developers on our list are now familiar brands, though none started that way, and most did not exist when ProjectVRM began. Some of the successes (e.g. Uber and Lyft) have not been directly engaged with ProjectVRM, but are listed because they are what we call “VRooMy.” Other successes (e.g. Personal.com, Reputation.com and GetSatisfaction) have been engaged, one way or another. One that got a lot of notice lately is Thumbtack, for picking up a $100 million investment from Google. That’s atop the $30 million they got earlier this year. Several years ago, a bunch of VRM developers (and I) worked on developing SWIFT’s Digital Asset Grid. (SWIFT is the main international system for moving money around, and is headquartered in Belgium.) The code is open source, as is other VRooMy work in the financial sector. (Such as the stuff being done by the Romanian company I wrote about here.) OIX also maintains a set of “trust frameworks,” one of which is at the heart of the Respect Network, which I’ll unpack below. While there is a lot of development in the U.S., and there are VRM startups scattered around the world, the three main hotbeds of activity are the UK, France and Oceania (Australia and New Zealand). Each is a community of its own, cohering in different ways. It’s helpful to visit each, because they represent unique contexts and resources for moving forward. Leading the UK government in a VRooMy direction from the inside is in the Efficiency and Reform Group of the Government Digital Service (GDS) in the Cabinet Office. In this presentation by Chris Ferguson, Deputy Director of the GDS we see the government pulling in big companies (e.g. Google, Equifax, Lexis-Nexis, Experian, Paypal, Royal Mail, BT, Amazon, O2, Symantec) to legitimize and engage fourth parties serving individuals (e.g. Mydex, Paoga and Allfiled). VRM is a familiar and well-understood concept in France. There are meetups (such as this one) and many VRooMy startups, such as Privowny (led by French folk and HQ’d in Palo Alto), CozyCloud, and OneCub. 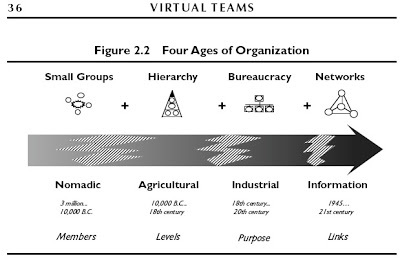 A big organizational driver of VRM in France is Fing.org, a think tank that brings together large companies (e.g. Carrefour, Societe General, Orange and LaPoste) with small companies such as the ones I just mentioned. They do this around research projects. For example, ProjectVRM informed Fing’s Mesinfos research project (described here). If we were to produce a heat map of VRM activity, perhaps the brightest area would be Australia and New Zealand. I’ve been down that way three times since June of last year, to help developers and participate in meetings and events. As with the UK, government in Australia is very supportive of VRM development, and with empowering individuals generally. (We met with three agencies on one of the trips: one with the federal government in Canberra and two with the New South Wales government in Sydney. One of them called citizens “customers” of government services, because “they pay for them.”) Startups there include Flamingo, Meeco, Welcomer, Geddup,4th Party, Fifth Quadrant, Onexus and the New Zealand based MyWave. While there are many VRM developers operating in the lower half of that graphic, what ProjectVRM does is in the upper half of that diagram. 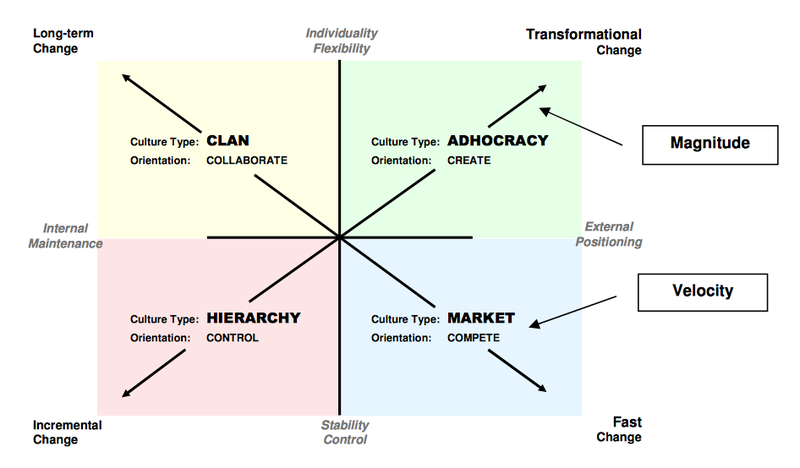 We have a collaborative clan of flexible and creative individuals in an adhocracy, working together on long-term transformational change. That’s our column on the right. That’s us in the middle. We’re a stable and decentralized heterarchy that coordinates by mutual adjustment. Again that’s us on the right. Something I like about those last two is the respect they give to heterarchy, which has been a focus for many years of Adriana Lukas, another VRM stalwart who has been with the project since before the beginning. Here’s her TED talk on the subject. 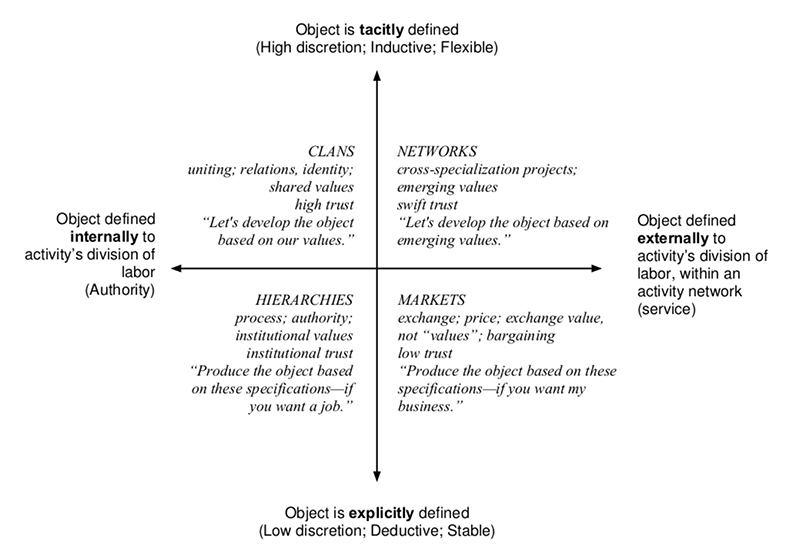 In Spinuzzi’s Losing by Expanding: Corralling the Runaway Object, an object is identified as “a material or problem that is cyclically transformed by collective activity.” With our tacit, inductive and flexible approach, this also characterizes the way our community works. One can see all this at work on the ProjectVRM mailing list, an active collection of 615 subscribers. We also meet in person twice a year at IIW, starting one day in advance of the event, with “VRM Day.” This adds up to a total of at least eight days per year of in-person collaboration time. Most of the rest of the VRM community meets locally, or through the organizing work of organizations such as Respect Network (U.S. based, but spanning the world) and Fifth Quadrant (Sydney based, and focused on Australia and New Zealand). Personal Data Ecosystem Consortium, founded by Kaliya Hamlin, with whom Phil Windley and I also co-organize IIW. FIDO Alliance, led by Brett McDowell, another leader in the personal identity movement and friend to VRM from the start. Patient Privacy Rights, led by Dr. Deborah Peel and Adrian Gropper, among other friends. Here’s the blog. Customer Commons, our own spin-off. If things go the way I expect, Mozilla will also emerge as a center of VRM interest and development as well. (For example, I expect VRM to be a topic in October at MozFestival in the U.K.
Nearly all VRM influence derives from the work of its volunteers and its developers. “Markets are conversations,” Cluetrain said, and we drive a lot of those. But they rarely get driven exactly the way I, or we, would like. Conversations are like that. So are heterarchical networks. Everybody wants to come at issues from their own angle, and often with their own vocabulary. We see that especially with analysts and think tanks. None of them like the term VRM. (In fact lots of developers avoid it as well. I don’t blame them, but we’re stuck with it.) Ctrl-Shift, for example, calls fourth parties PIMS, for Personal Information Management Services. Kuppinger-Cole, which gave ProjectVRM an award in 2008 (that’s the trophy on the right), insists on the term “Life Management Platforms.” (I pushed it for awhile. Didn’t take.) Here in the U.S., Forrester Research calls the same category PIDM for Personal Identity and Data Management. We don’t care, because we look for effects. As for the influence of others on ProjectVRM, there are too many to list. Privacy is the biggest one right now. (A Google search brings up more than five billion results). We’ve done a lot to drive interest in the topic, and have brought thought leadership to the topic as well. (Here is one example.) On behalf of ProjectVRM, I’ve participated in many privacy-focused events, such as the Data Privacy Hackathon earlier this year, and at GovLab gatherings such as the one reported on here. I’m also in Helen Nissenbaum‘s Privacy Research Group at the NYU Law School, where I presented ProjectVRM developers’ privacy work on February 26 of this year. Tied in with privacy online, or lack of it, is users’ need to submit to onerous terms of service and meaningless privacy policies. Those terms, also called contracts of adhesion, have been normative ever since industry won the industrial revolution, but have become especially egregious in the online world. Today there is a crying need both for better terms on the sites’ and services’ side, and for terms individuals can asset on their side. From the beginning ProjectVRM has been focused mostly on the latter. Trust is another huge issue, also tied with privacy. ProjectVRM has both encouraged and influenced the growth of “trust frameworks” such as the Respect Trust Framework and others (there are five) at OIX, as well as Open Mustard Seed and OpenPDS under IDcubed at the MIT Media Lab. VRM+CRM has been a focus from the start, but the timing has not been right until now. At the beginning, we expected CRM companies to welcome VRM. Press and analysts in the CRM space were encouraging from the start (CRM Magazine devoted an entire issue to it in 2010), but the big CRM companies showed little interest, until this year. In our lives the own cycle is in fact the largest, because we own things — lots of them — all the time and are buying things only some of the time. In fact, most of the time we aren’t buying anything, or even close to looking. This is a festering problem with the advertising-driven commercial Web, which assumes that we are constantly in the market for whatever it is they push at us. In addition to not buying stuff all the time, we are employing more and more ways of turning advertising off (ad blockers are the top browser extensions). For advertising and ad-supported companies, including millions of ad-supported publishers on the Web, this is a mounting crisis. According to an August 2013 PageFair report, “up to 30% of web visitors are blocking ads, and that the number of adblocking users is growing at an astonishing 43% per year.” In The Intention Economy, I called online advertising a “bubble” and I stand by the claim. It’s just a matter of time. As the stuff we own gets smart, and as more of it finds its way onto the Net service becomes far more important to companies than sales. And VRM developers are laying important groundwork in service. I wrote about this in Linux Journal last year, drawing special attention to the pioneering work led by Phil Windley, who has been a VRM stalwart since before the beginning. In fact it’s Phil’s work that makes clear that things themselves don’t need to be smart to exist on the Internet. All they need is clouds that are smart, which Phil calls picos for persistent computing objects. In this HBR post I explain how the shared clouds of products can be platforms for relationship between company and customers , with learnings flowing in both directions. Meanwhile, VRooMy companies like trōv are helping individuals do more with what they own — taking their valuables, and making them more valuable. This was the first for VRM, and it’s still a primary interest. We need tools on the individual’s side for managing many relationships. There still is not a good “relationship dashboard,” though there are a number of efforts in this direction. But as soon as we have code on the VRM side that matches up with code on the CRM side (including, for example, call centers, which are also interested in VRM), we’ll rock. Even though ProjectVRM’s mission is centered around relationship and conversation, transaction is a big part of it too — just not the only part, as business often assumes. Our first efforts, starting in 2006, were around making it as easy as possible for individuals to donate money in one standard way to many different public radio stations. We have been involved in many meetings and discussions around payments and secure data transactions, and some projects as well. We worked with SWIFT on the Digital Asset Grid, and have been in conversations with banks (e.g. Chase) and VISA Europe for a long time as well. With the rise of alternative currencies (e.g. Bitcoin), distributed accounting (e.g. Blockchain), digital wallets and other new means for transacting and accounting, there are many ways for VRM developments to play. There are two breeds of development here. One is fourth party services and code bases for managing and sharing personal data selectively online. There are now many of these. Some support self-hosting as well. (ProjectVRM has always been supportive of free software, open source, and the “first person technology” and “indie” movements.) One organization, the Respect Network, was created to provide a framework for substitutability of services and apps. The other is code the individual uses to manage his or her own life, and connections out to the world. This is where calendar, email, IM, to-do lists, password managers and other convenience-producing apps for the connected world come together. There is no leader here, though there are many players, including Apple, Microsoft and Google. So far, this area has only seen centralized and siloed players, with inherent security and data mining disadvantages. But recently, commercial and open source conversations about a decentralized approach to this opportunity have been taking place. Apple’s HealthKit and HomeKit, which go live with the release of iOS 8on 9 September, also have some VRM developers excited, because it will make this kind of integration at the individual end easy to do in two verticals: Health and Home Automation. Early on with ProjectVRM, I avoided health as an issue, because I wanted to see real progress in my lifetime — and I felt that the situation in the U.S. was fubar. But other VRM folk did not agree, and have pushed VRM forward very aggressively in the health field. Dr. Adrian Gropper and Dr. Deborah Peel of Patient Privacy Rights have done a remarkable job of carrying the VRM flag up a very steep and slippery hill. Berkman veteran John Wilbanks is another active ProjectVRM volunteer whose work in health is broad, deep, influential and at the leading edge of the pioneering space where personal agency engages the wild and broken world of the U.S. health care system. Brian Behlendorf, the primary developer of the Apache Web server (which hosts the largest share of the world’s Web sites and services) and the CONNECT open source code base for health service collaboration, is also an active participant in ProjectVRM. A number of VRM developers are working with, or paying close attention to, Apple’s HealthKit. In the words of one of those developers, “It’s very VRooMy.” HealthKit developments go live when Apple rolls out iOS 8 on 9 September. While a number of car makers are eager to spy on drivers, Volkswagen has put a stake in the ground. In March, Volkswagen CEO Martin Winkerhorn gave a keynote at the Cebit show that drew this headline: “Das Auto darf nicht zur Datenkrake warden.” My rusty Deutsch tells me he’s saying the car shouldn’t be a data octopus. Toward that end, Phil Windley’s Kickstarter-based Fuse will give drivers and car owners all the data churned out of their cars’ ODB-II port, which was created originally for diagnostics at car dealers and service stations. With an open API around that data, developers can create apps to alert you to schedule maintenance, monitor your teen’s driving and much more. There is an upswing of investment in start-ups on the “pull” — the individual’s — side of the marketplace. Many wealthy individuals, some quite new to tech investing, perceive an opportunity in “pull” side tools, so interest is building, especially in angel funding. There are currently at least three initiatives coming together to invest in VRM or intention based start-ups in Silicon Valley and Europe. This is one of the outcomes of the last IIW (in May of this year), where investment emerged as a big theme, with a number of VC’s for the first time participating in IIW sessions. I’m involved in planning a VRM specific fund, which is still in its preliminary stages. If it moves forward (which I believe it will), it should come into shape by next year. In some cases government is also involved. In the UK, for example, the SEIS (Seed Enterprise Investment Scheme) program offers huge tax incentives to angel investors. There are many questions we can probe with research, but only one I want to work on in the near term: What happens when individuals come to websites with their own agreeable terms? Such as, “I’m cool with you tracking me on your site, but don’t follow me when I leave.” And, on the site’s side, “We’re cool with that.” In proper legalese, of course — but expressed on both sides in code and symbols that work like Creative Commons’ licenses (there on the right). The Cyberlaw Clinic is already involved, though its work with Customer Commons on a broader set of terms than the one I just mentioned, and Berkman’s own Privacy Tools for Sharing Research Data could assist with and follow the process, both through the term-creation process and as the terms get implemented in code and materialize on the Web. We would be dealing with cooperative efforts that require this already. One is Respect Network’s Respect Connect “Login with Respect” button. As I explain here, the terms of OIX’s Respect Trust frame require the setting of, and respect for, the boundaries of individuals. This can be done, even within the calf-cow framework of client-server. Respect Connect is based onXDI, which the Respect Trust Framework also specifies. XDI is a protocol that employs “link contracts.” Drummond Reed, the father of XDI (and CEO of the Respect Network) describes link contracts as “machine-readable XDI descriptions of the permissions an individual is giving to another party for access to and usage of the owner’s personal data.” Very handy. And binding. In code. Mozilla has also made efforts in this same direction, most recently with Persona (there on the right). We can help them out with this work, and I am sure other and other browser makers will also want to get on board — which they should, and with Berkman’s convening power probably will. At the end of the project we will have both standard terms for posting at Customer Commons and reference implementations hosted by Berkman, or shared by Berkman over Github or some other data repository. 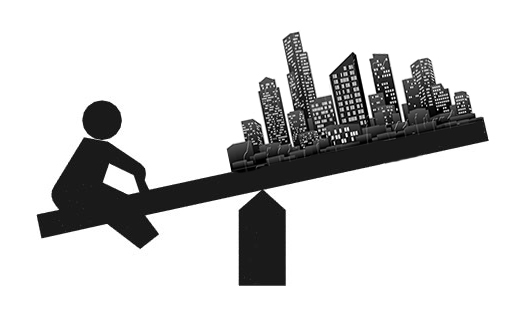 And we would bring to the table many dozens of developers already eager to see increased agency and term-proffering power on the individual’s side. I can easily see privacy dashboards, on both the client and the server sides of websites. (Thinking out loud here…) We could host focused discussions and invite participants (including law folk — especially students, from anywhere) to vet terms the way the IETF vets Internet standards: with RFCs, or Requests for Comments. Some open source code for this already exists with Adblock Plus’s white list for non-surveillance-based advertisers. I would hope they’d be eager to participate as well. We (ProjectVRM, the Berkman Center or Customer Commons) could publish lists of conformant requirements for website and Web service providers, and lists (or databases) of conformant ones. This work would also separate respectful actors on the supply side of the marketplace from ones that want to stick with the surveillance model. While there are lots of things we could do, this is the one I know will have the most leverage in the shortest time, and would be great fun as well. It is also highly cross-disciplinary, with many lines of cooperation and collaboration within the university and out to the rest of the world. Right at Berkman we have the Privacy Tools for Sharing Research Data project and its many connections to other centers at Harvard. Its mission — “to help enable the collection, analysis, and sharing of personal data for research in social science and other fields while providing privacy for individual subjects” — is up many VRM development alleys, especially around health care. What if it turns out that free customers are not more valuable than captive ones for most businesses? That’s been the default belief of big business ever since it was born. What if the free market on the Net turns out to be “Your choice of captor?” Client-server lends itself to that, although we can work around its inequities with moves like the one proposed in the Research section above. What if the only VRM implementations that succeed in the marketplace are silo’d and non-substitutable ones? To some degree, that’s what we have with Uber and Lyft. While they are substitutable (as two apps on one phone), we don’t yet have a way to intentcast to multiple ride sharing providers at once, or to keep data that applies to both. Maybe we will in the long run, but so far we don’t. Apple may be VRooMy with HealthKit and HomeKit, but both still operate within Apples silo. You won’t be able to use them on Android (far as I know, anyway). And what if the Internet of Things turns out to be a world of silos as well? This too is the default, so far. Phil Windley mocks the Apple of Things and the Google of Things by calling both The Compuserve of Things — and making the case for substitutablility as well. And what if customers just don’t care? This too is the default: the body at rest that tends to stay at rest. For VRM to fully happen, the whole body needs to be in motion — to move from one Newtonian state to another. It’s doing that in places, but not across the board. Finally, what if we succeed? VRM is about making a paradigm shift happen. So was Cluetrain before it. On the plus side, the Net itself lays the infrastructural groundwork for that shift. But the rest is up to us. Whether we fail or succeed (or both), there will be plenty to study. And that’s been the idea from the start too. * Disclosures: I was paid modest sums as a fellow early on, but otherwise have received no compensation from the Berkman Center. I make my living as a speaker, writer and consultant. I have consulted a number of companies listed on the ProjectVRM development work page, and am on the boards of two start-ups: Qredo in the U.K. and Flamingo in Australia. In my work for them my main goal is to see VRM succeed, and I don’t play favorites in competition between VRM companies. Every Member promises to respect the right of every other Member to control the Member Information they share within the network and the communications they receive within the network. As part of this promise, every Member agrees that all sharing of Member Information and sending of communications will be by permission, and to be honest and direct about the purpose(s) for which permission is sought. As part of this promise, every Member agrees to provide reasonable protection for the privacy and security of Member Information shared with that Member. As part of this promise, every Member agrees that if it hosts Member Information on behalf of another Member, the right to possess, access, control, and share the hosted information, including the right to move it to another host, belongs to the hosted Member. As part of this promise, every Member agrees to share the reputation metadata necessary for the health of the network, including feedback about compliance with this trust framework, and to not engage in any practices intended to game or subvert the reputation system. The Respect Network’s founding partners are working, each in their own way, to bring the Respect Trust Framework into common use. I like it as a way to scaffold up a market for VRM tools and services. It operates on the first promise of the Respect Trust Framework: We will respect each others’ digital boundaries. Think of it as a safe alternative to the same kind of button by Facebook. The campaign also launched =names (“equals names”) to go with the Respect Connect button, and much else, eventually. These names are yours alone, unlike, say, your Twitter @ handle, which Twitter owns. The tour was something of a shakedown cruise. Lots was learned along the way, and everybody involved is re-jiggering their products, services and plans to make the most of what they picked up. I’ll share some of my own learnings for ProjectVRM in the next post.